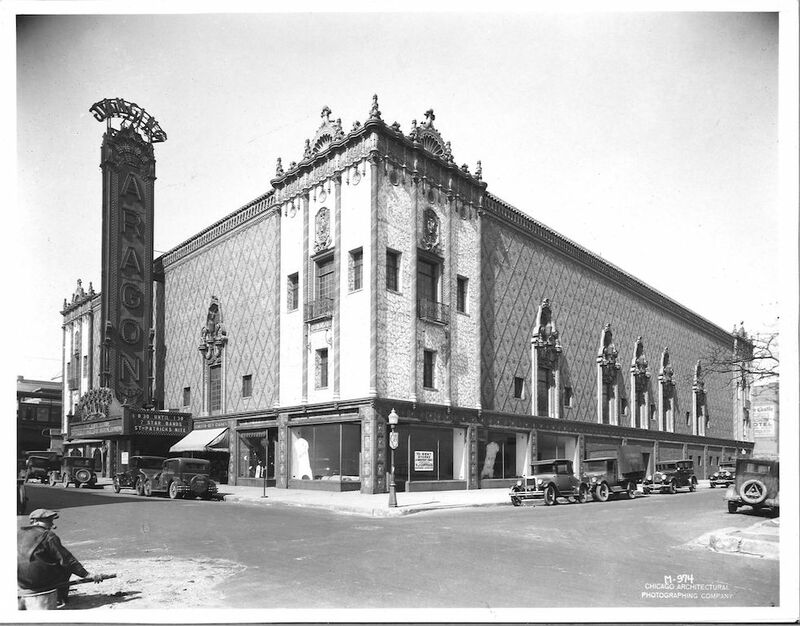 Originally planned to be called The Patio; also note the original marquee planned with the Patio design on it. 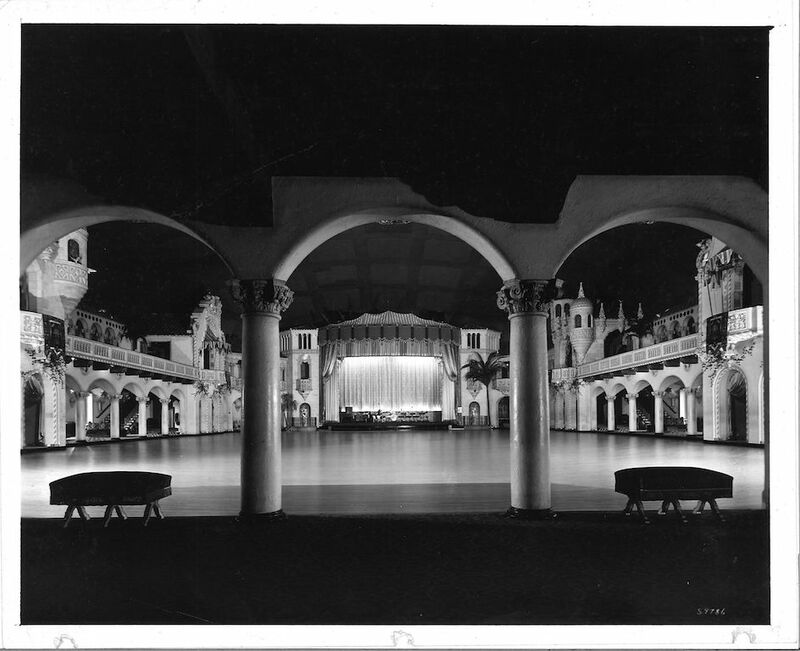 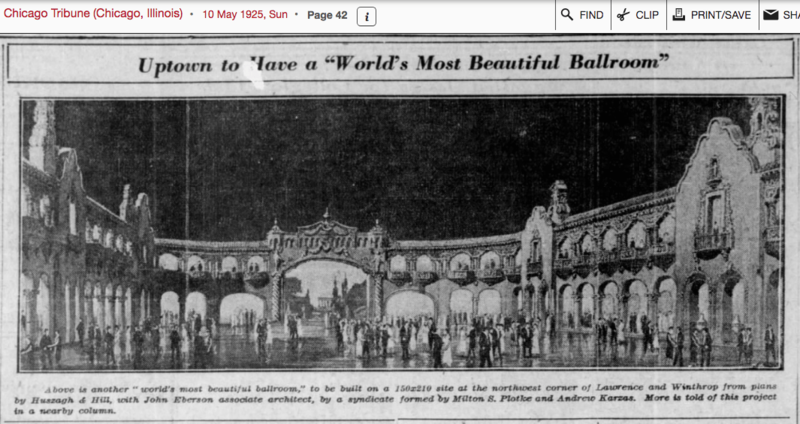 It was announced on May 9, 1925 that Andrew Karzas of the Trianon Ballroom and Woodlawn Theatre along with real estate developer Milton S. Plotke had formed a syndicate with the purpose of creating “The Wonder Ballroom of the World” to surpass the opulence of Chicago’s south-side mammoth dance hall that would eventually represent a $2 million investment. 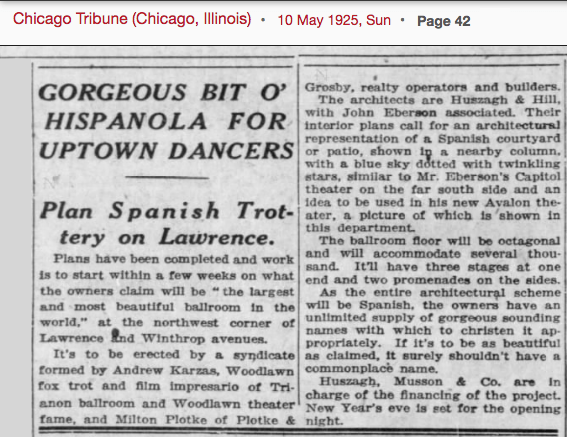 The Trianon cost $1 million to build in 1922. 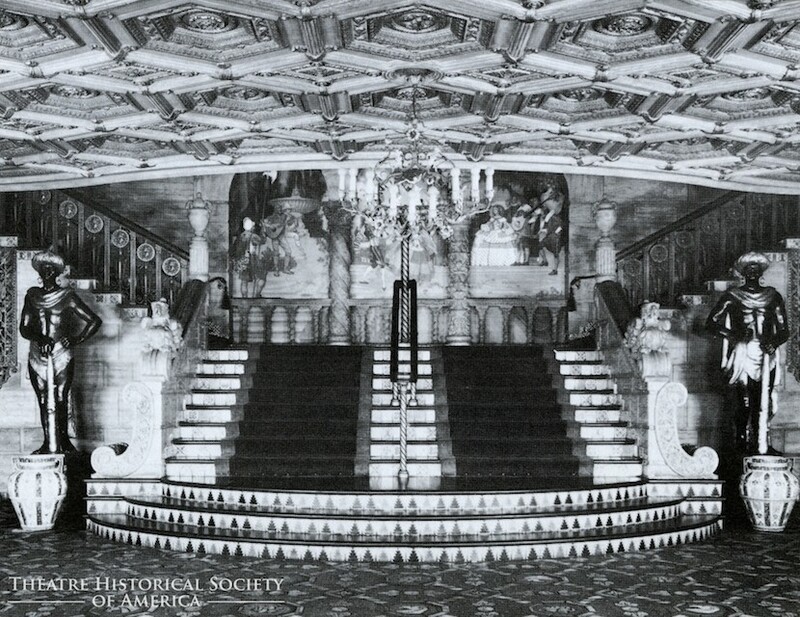 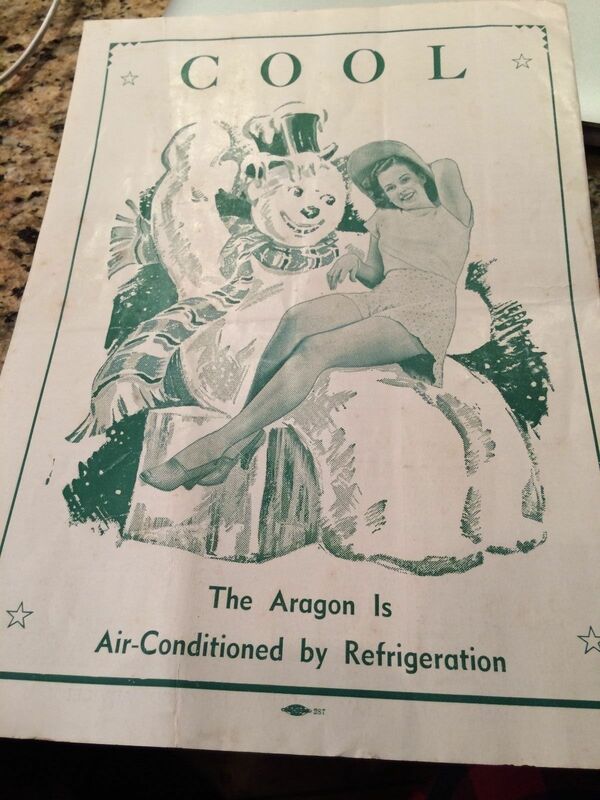 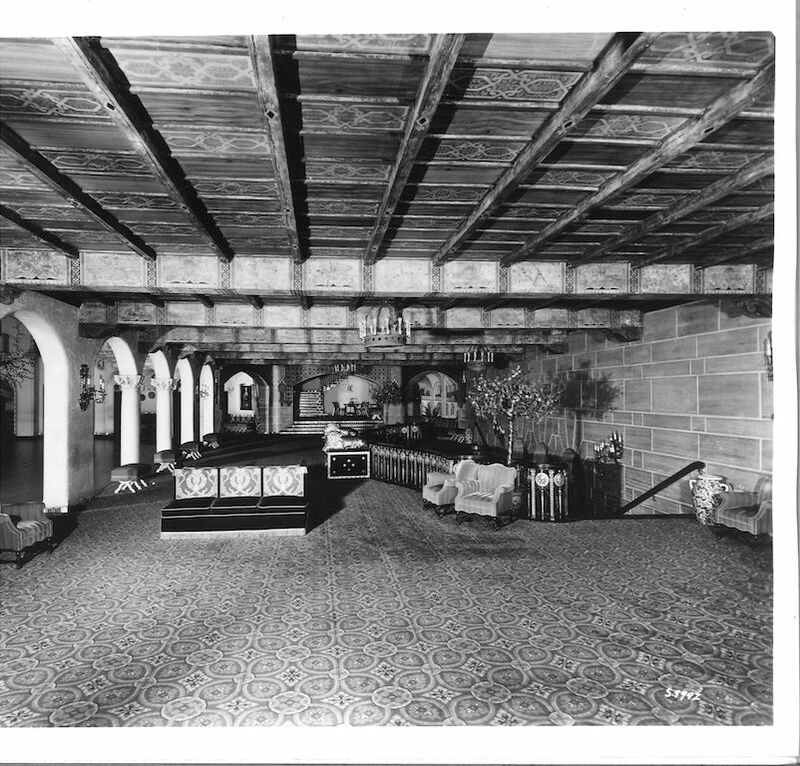 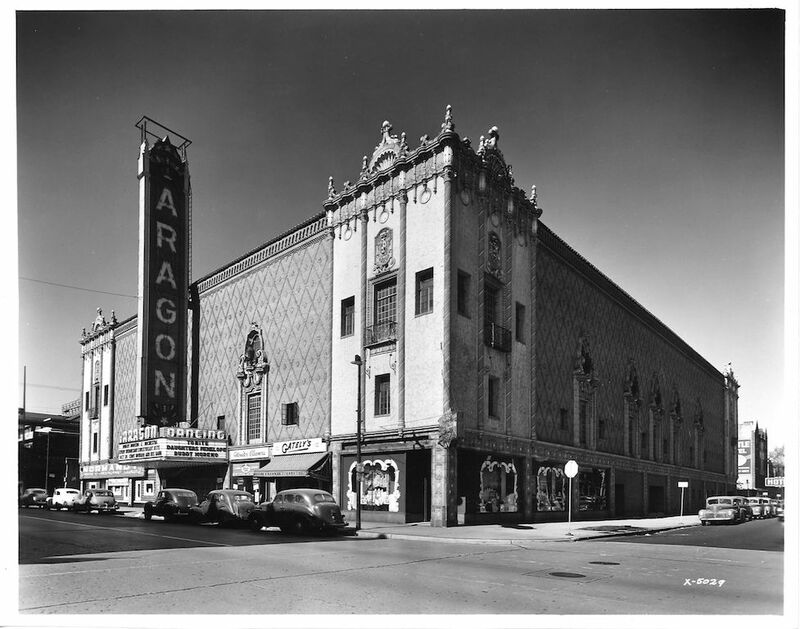 The Patio, opened as The Aragon Ballroom and held its grand opening on the evening of July 14, 1926 to a packed house of 10,000 observers of the Fraternal Order of Elks when they held their annual convention and crowned the newest beauty queens. 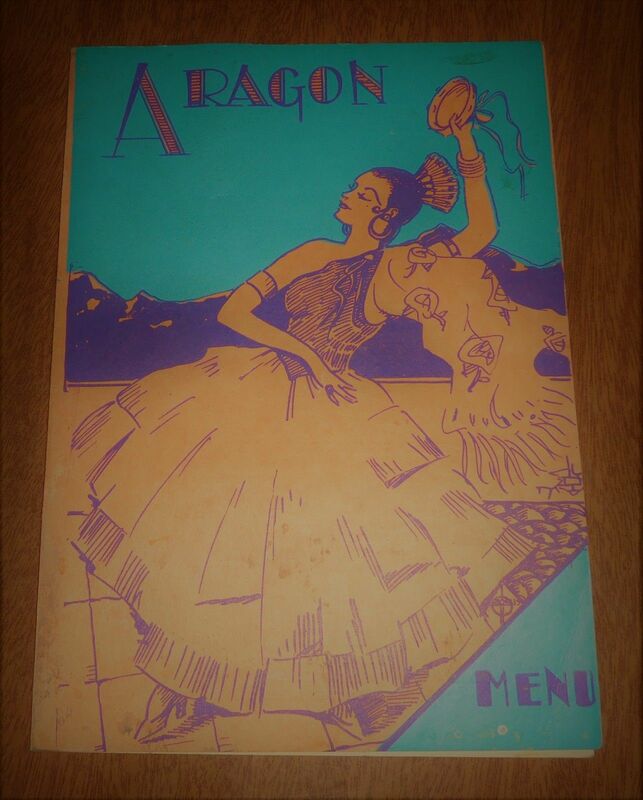 Designed to normally hold 5,000 fans and dancers, the Aragon’s beauty and Spanish atmospheric surroundings today still inspires artistic innovations and wonderment. 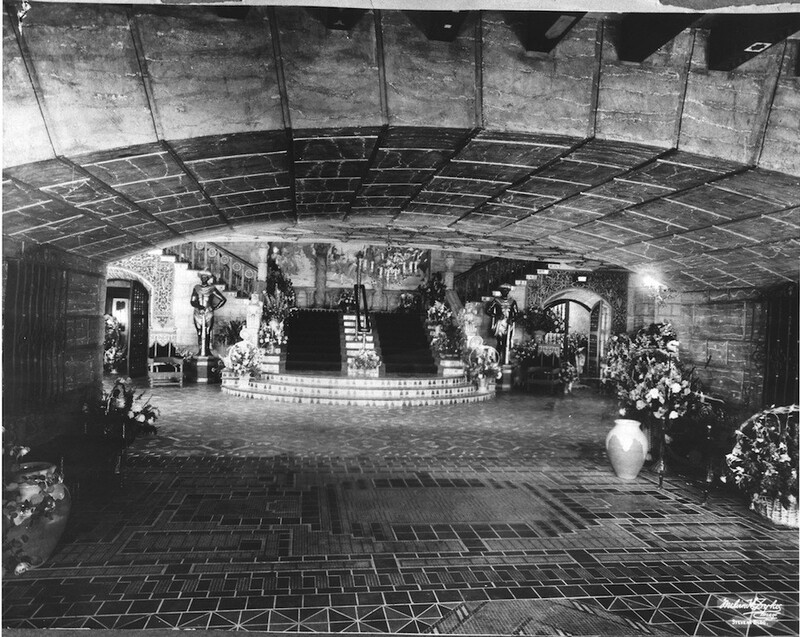 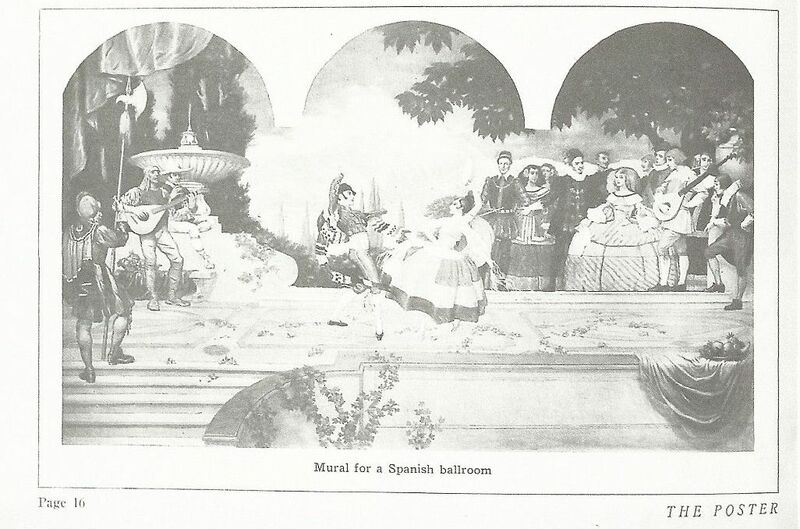 The architectural firm of Huszagh & Hill (Viceroy Hotel, Olympic Beach Club) with John Eberson (1875-1964) advising designed the grand ballroom to resemble a courtyard of a Moorish castle approaching the architecture of the northeastern autonomous area of Spain known as Aragon. 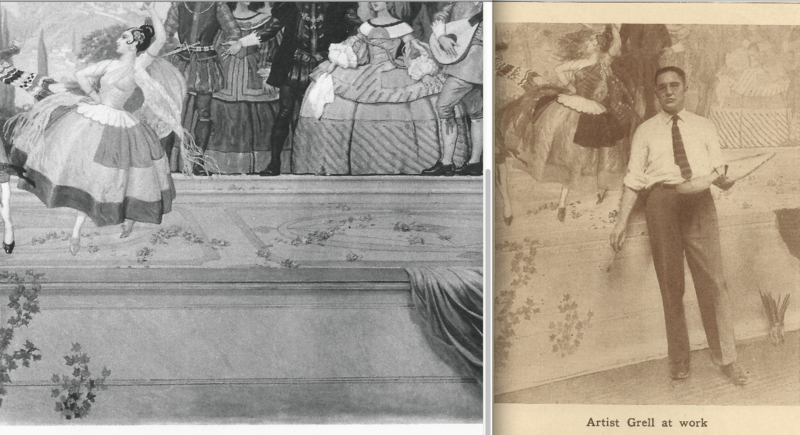 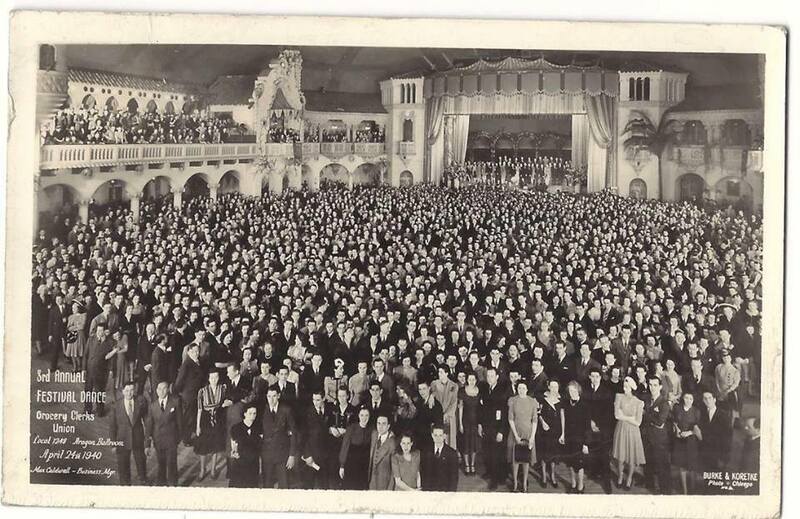 Eberson was renowned as the preeminent atmospheric theater designer (Capitol 1925 Chicago, Paradise 1928 Chicago, Avalon 1928 Chicago, Paradise 1929 Bronx, Valencia 1929 Queens & many others) of America and incorporated these trends into the new ballroom. 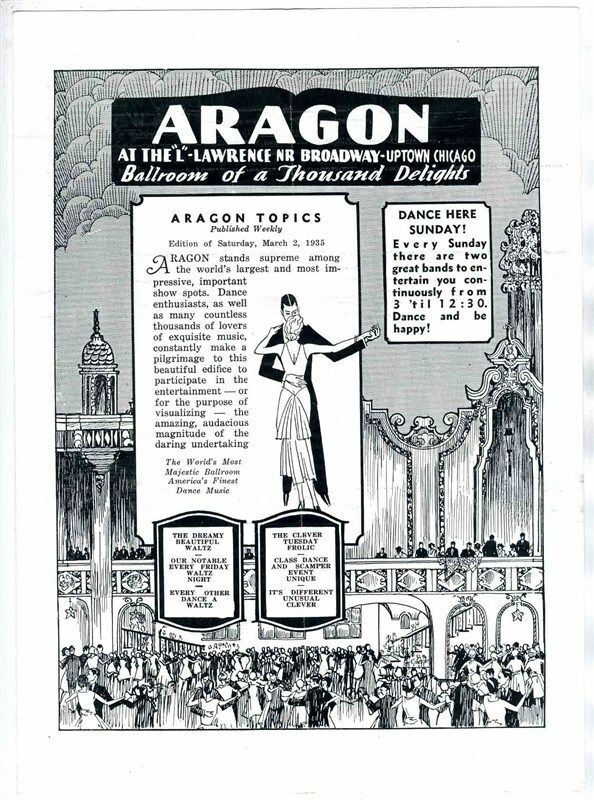 Grell’s connection to the project may have been through Rapp & Rapp who designed the Trianon for Karzas but could also have been directly through Eberson who designed around 800 theatres over his career. 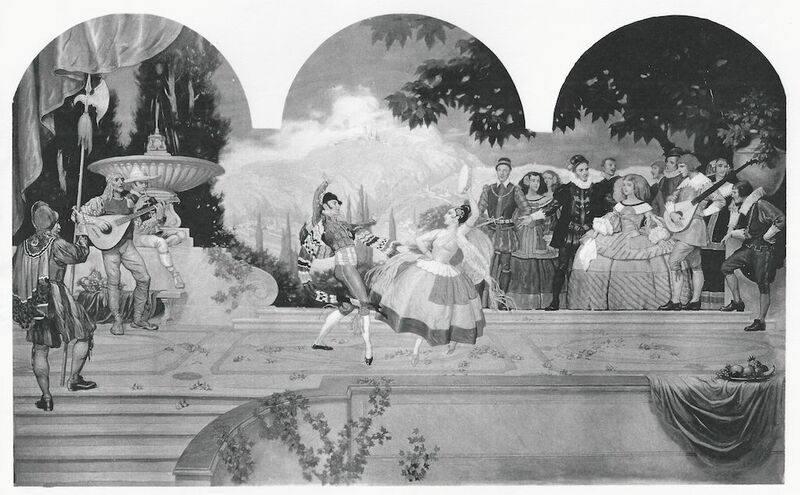 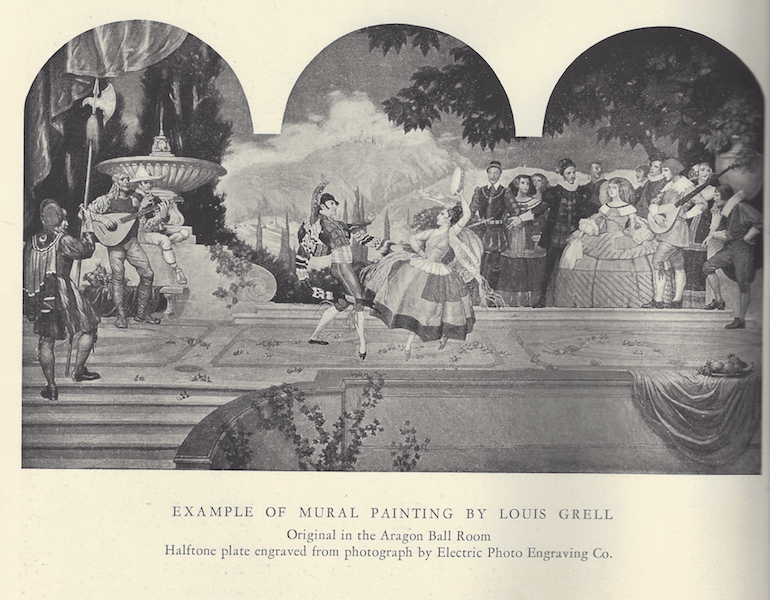 Grell was commissioned to paint a large Spanish dance scene mural that would be incorporated into the elegant stairway landing area. 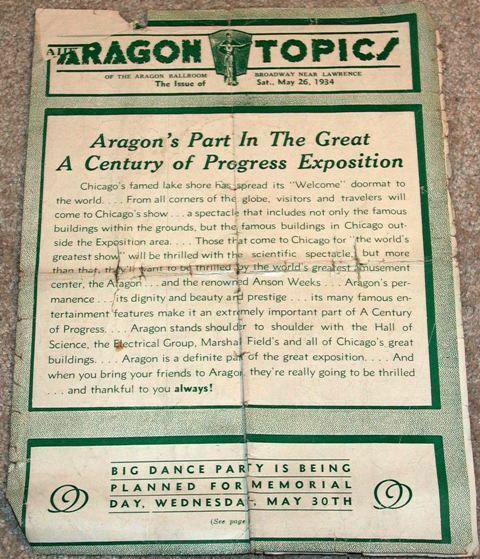 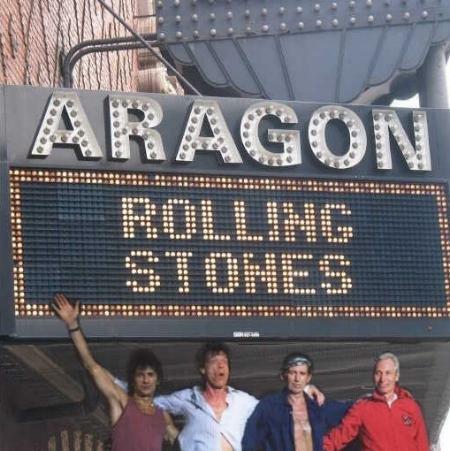 The photo that includes Grell shows him standing in front of the Aragon Ballroom mural looking about half finished. 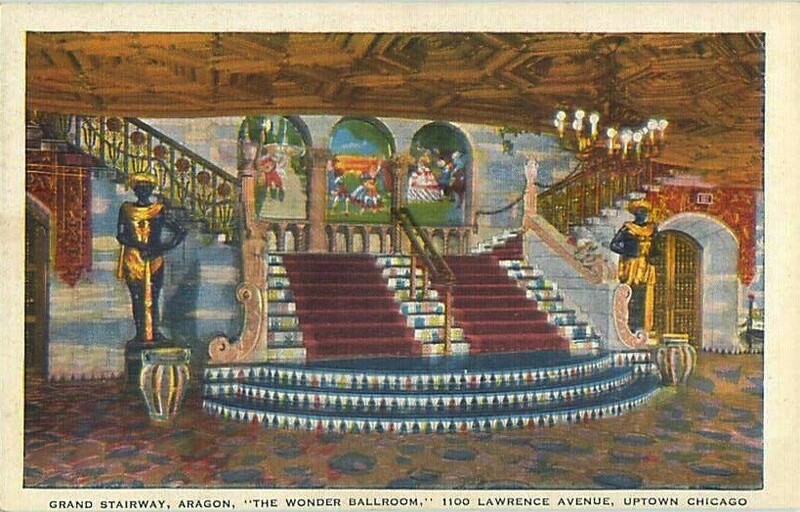 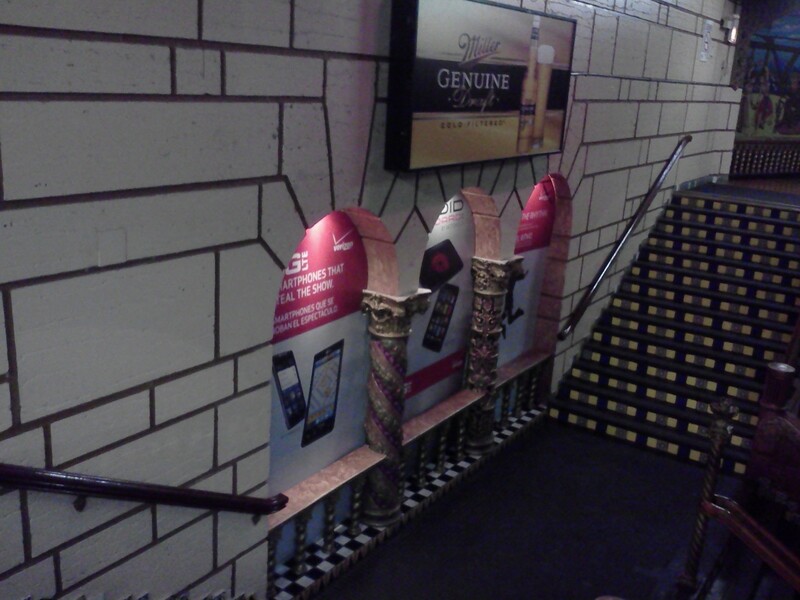 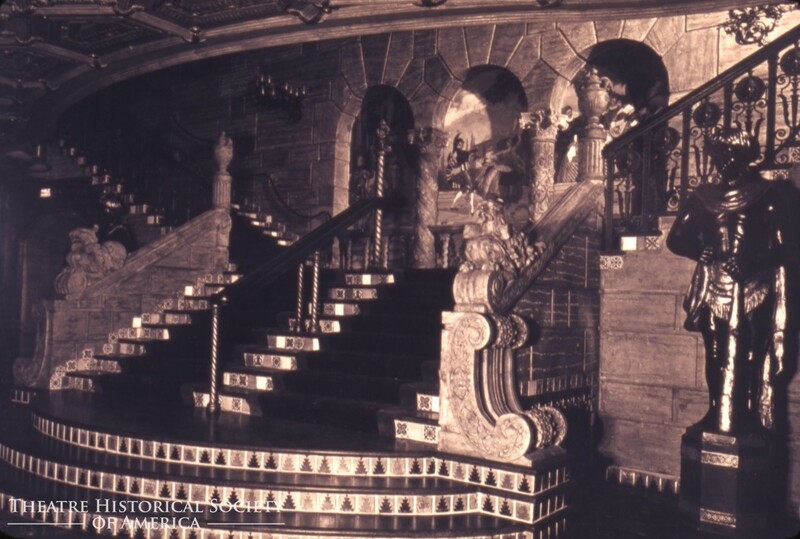 The staircases at both the Trianon and Aragon were so unique architecturally, that postcards were made of them. 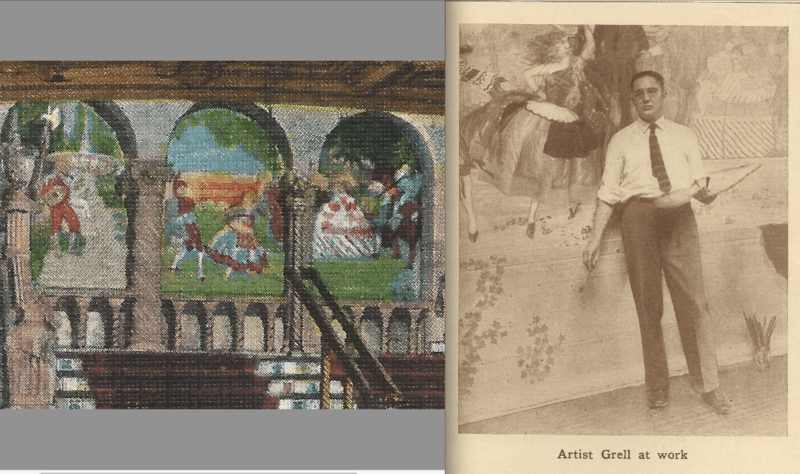 This is one of Grell’s many mural projects that eventually became postcards. 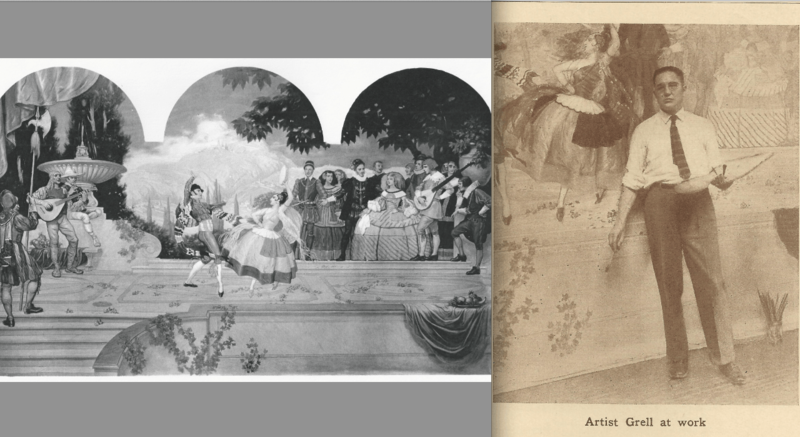 Literature: reproduced in The Poster, The National Journal of Outdoor Advertising and Poster Art, Vol. 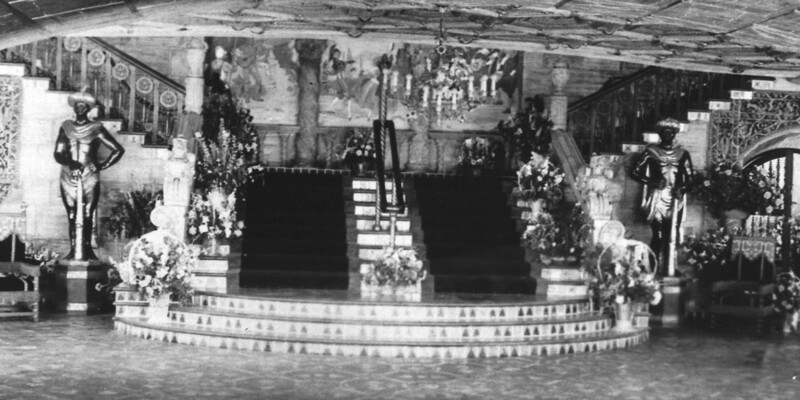 XVII No. 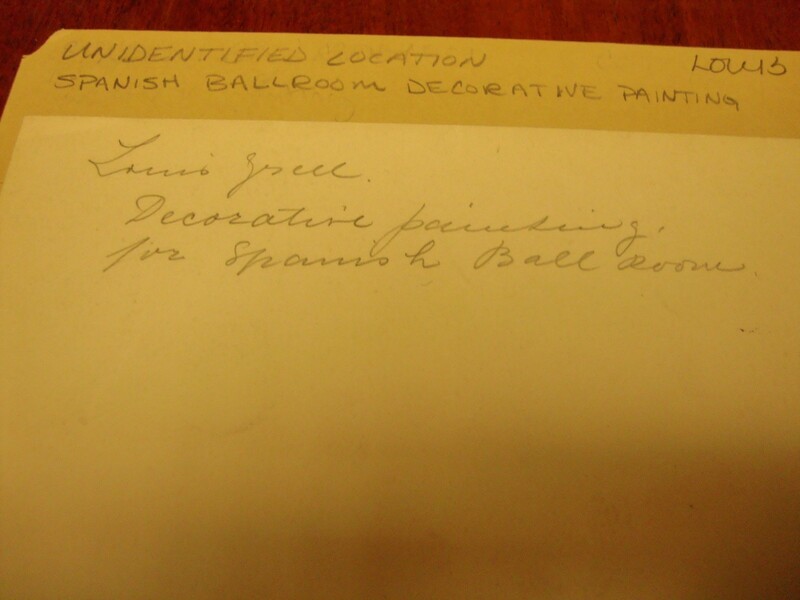 8, August 1926, pp. 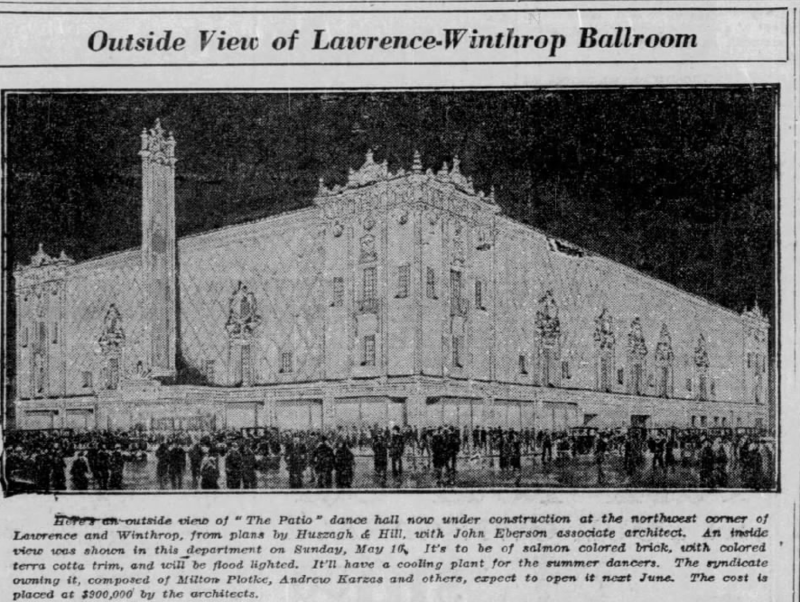 14-17; and The Chicago Bulletin, Chicago Guild of Free Lance Artists, January 1927, p. 36.